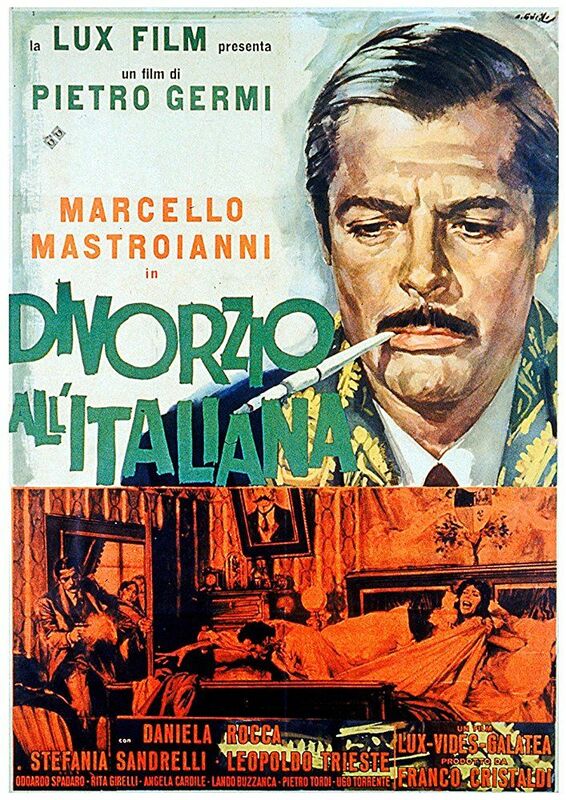 Ferdinando Cefalù (Marcello Mastroianni), an impoverished Sicilian nobleman, is married to Rosalia (Daniela Rocca), an unattractive but devoted wife. However, he is in love with his cousin Angela (Stefania Sandrelli), a much younger and attractive woman whom he sees only during the summer because her family sends her away to the city to a nunnery to receive her education. Besides his wife, he shares his life with his elderly parents and his spinster sister and her boyfriend who runs a funeral business; the family share their once stately palace with his uncles, who are slowly but surely eating away the remainders of the then rich estate of the Baron. Read more on Wikipedia.